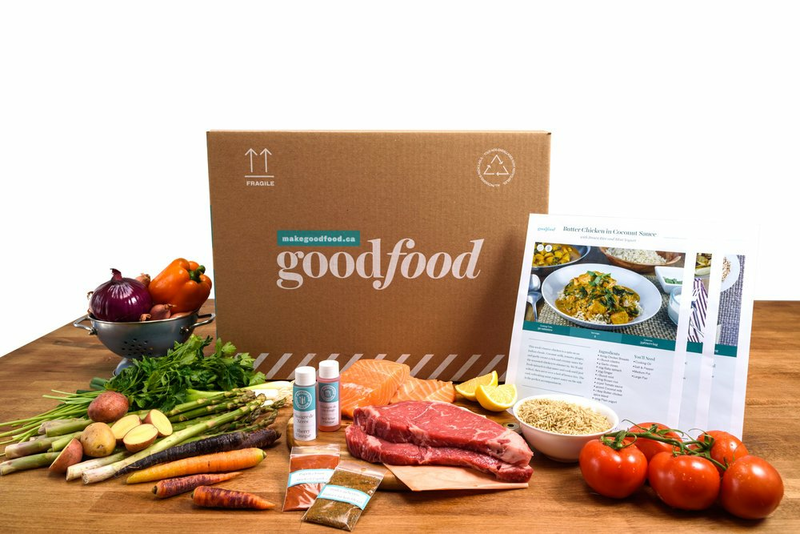 This recipe brims with the staples of French cuisine as well as the best of seasonal produce. We liberally season plump chicken breasts with herbes de Provence before pan roasting the poultry with leek rounds until both are beautifully browned. 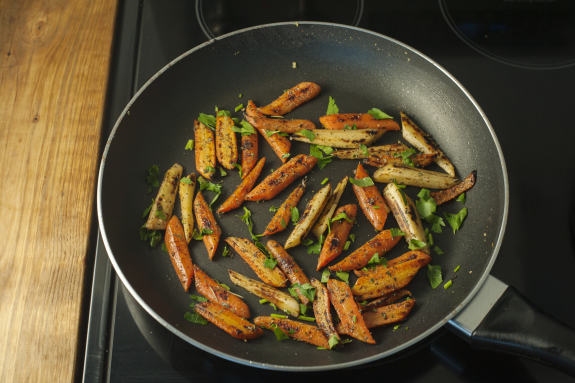 They’re served over a creamy rutabaga mash alongside roasted carrots and parsnips. 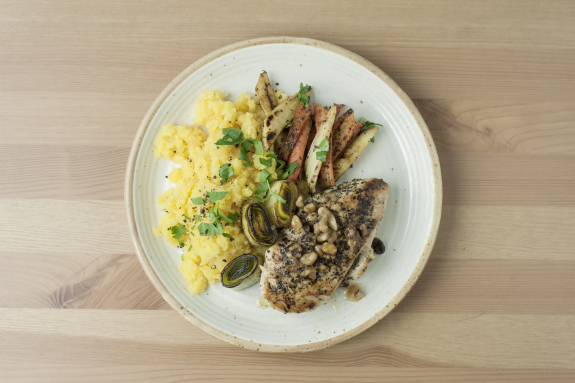 We elevate a beurre blanc by incorporating toasted walnuts for an added nutty, earthy flavour; gently spoon the sauce over the finished chicken and root vegetables to create a local meal with French flair. Bring a medium pot of salted water to a boil. Peel and medium dice the rutabaga. Add the rutabaga to the pot of boiling water. Cook, 17 to 20 minutes, until very tender when pierced with a fork. Reserving 1 cup of cooking liquid (double for 4 portions), drain thoroughly and return to the pot. Off the heat, add 1 tbsp of butter (double for 4 portions). Using a fork or a potato masher, mash the rutabaga, gradually adding the reserved cooking liquid until it reaches your desired consistency; season with ⅓ of the herbes de Provence and S&P to taste. Cover and set aside in a warm spot. While the mash cooks, cut the leek into 1-inch-thick rounds. 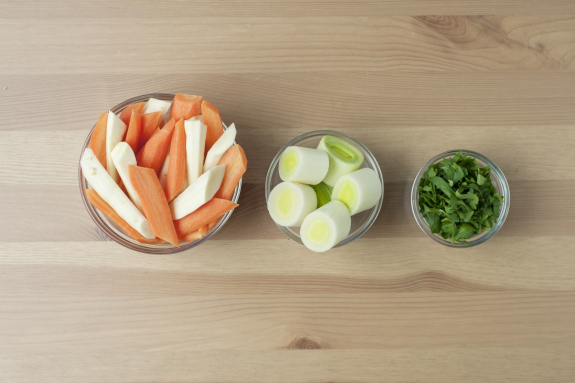 Peel the carrots and parsnips; halve lengthwise, cut into 2-inch-long pieces on an angle and combine in a bowl. Roughly chop the parsley leaves and stems. In a large pan, heat a drizzle of oil on medium-high. Pat the chicken dry with paper towel; season with ½ the remaining herbes de Provence and S&P. Add the chicken* to the pan and cook, partially covered, 7 to 10 minutes on one side. Flip the chicken; add the leeks. Cook, flipping the leeks halfway through, 7 to 10 minutes, until the chicken is cooked through and leeks have browned. Transfer the chicken and leeks to a cutting board and let rest for at least 5 minutes before thinly slicing against the grain. Wipe out and reserve the pan. 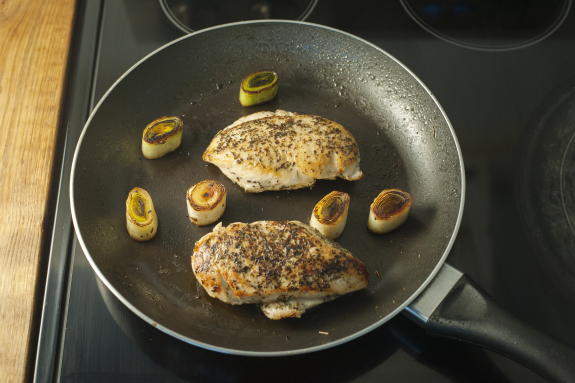 While the chicken and leeks cook, in a second large pan, heat a drizzle of oil on medium-high. Add the carrots, parsnips and 2 tbsp of water (double for 4 portions); season with S&P to taste. Cook, stirring frequently, 7 to 10 minutes, until the vegetables have browned and softened; season with the remaining herbes de Provence and S&P. Add ½ the parsley; toss to combine. Heat the dry, reserved pan on medium. 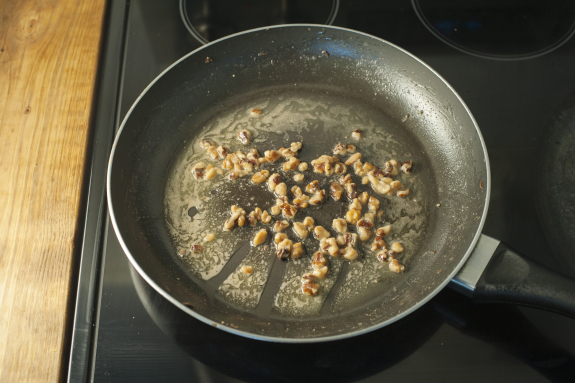 Add the walnuts and toast, stirring frequently, 2 to 3 minutes, until fragrant. Add the vinegar and cook, stirring frequently 1 to 2 minutes, until slightly reduced. Whisking constantly, add 2 tbsp of butter and 3 tbsp of water (double both for 4 portions) until the butter is incorporated. Cook, whisking constantly, 2 to 3 minutes, until thickened; season with S&P to taste. 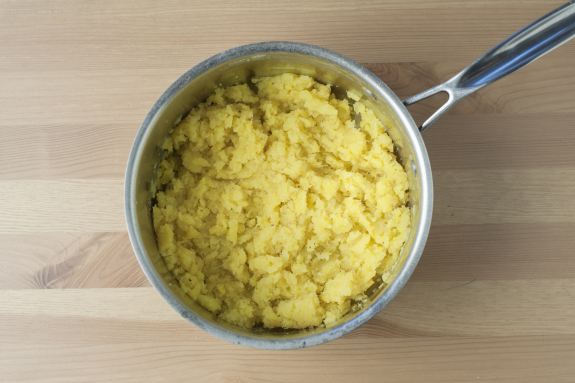 Divide the rutabaga mash between your plates. Top with the chicken, leeks and vegetables. Spoon as much of the walnut beurre blanc over the chicken and vegetables as you’d like. Garnish with the remaining parsley. Bon appétit!